Across the river from MIT, nestled beneath an overpass connecting Storrow Drive to the Fenway, is a small park. Nowadays, this furtive lot is easy to miss and many neighborhood residents avoid it entirely. 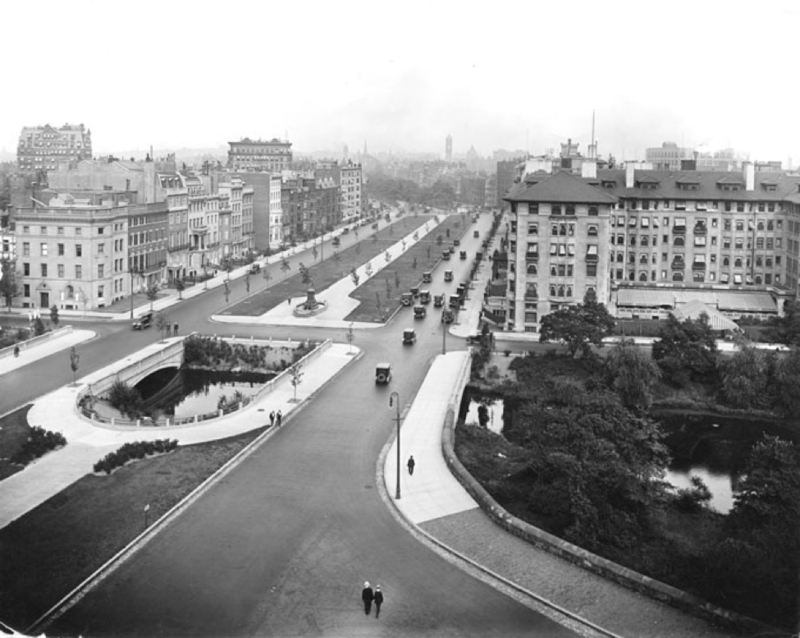 As unassuming and dilapidated as it may be now, there was a time when this space was the central link in Frederick Law Olmsted’s famous Emerald Necklace— the network of parks and waterways spanning from the Boston Common to Franklin Park. Despite having been designed by the father of American landscape architecture, Frederick Law Olmsted, the park currently falls under jurisdictions. As a result, some basic public services—like trash removal—are spotty at best. The overpass to Fenway, constructed in the mid-1960s, has further complicated matters by smothering the lot and negating much of its natural appeal. For decades, the park has been allowed to fall into disrepair. Its walkways are often strewn with needles and other debris. Uncertainty over responsibility for the area’s upkeep between the city and the state has also left Charlesgate Park without consistent police oversight. Nonetheless, the Necklace’s centerpiece represents an opportunity of inordinate potential. Recently several community groups have begun to take notice of the abandoned lot’s “good bones,” and have started to envision the park returned to its original grandeur. Chief among these groups is the Charlesgate Alliance, a new community organization of residents and neighborhood businesses. Although the Alliance hopes to eventually remove the overpass which blankets the lot, their short term goals are small scale and achievable. Working closely alongside Landing Studio, an architectural firm consisting of MIT’s own Marie Adams and her husband Dan, the Charlesgate Alliance has begun ideating several architectural projects. MIT’s students, particularly our Boston-based fraternities and sororities, have been quick to get in on the project’s ground floor. This September, members of Phi Kappa Sigma and Sigma Alpha Epsilon participated in a “walk-around” of the space with Alliance leaders and city officials. Throughout the afternoon, they cleaned up and utilized Olmsted’s park for an outdoor event. This variety of community problem solving is precisely the sort of approach which the Alliance’s most active members, such as Charlesgate resident H. Parker James, are encouraging. Their hope is that MIT’s Boston-area student life may be able to informally “adopt” the park through frequent usage. Whether this comes in the form of charity work, barbecues, rush events, or just playing frisbee, we do not simply tolerate student participation, we enthusiastically welcome it. Despite the ambitious long term goals that are currently brewing for the space’s restoration, we have only scratched the surface of what needs to be done. Although the Charlesgate Alliance may very well bring their aspirations to fruition, doing so will be no small task. Thankfully, MIT students are not known for shying away from a challenge. If you want to help and would like to know more, check out the Charlesgate Alliance’s website or contact the FSILG Community Relations Committee at fsilg-commrel@mit.edu.